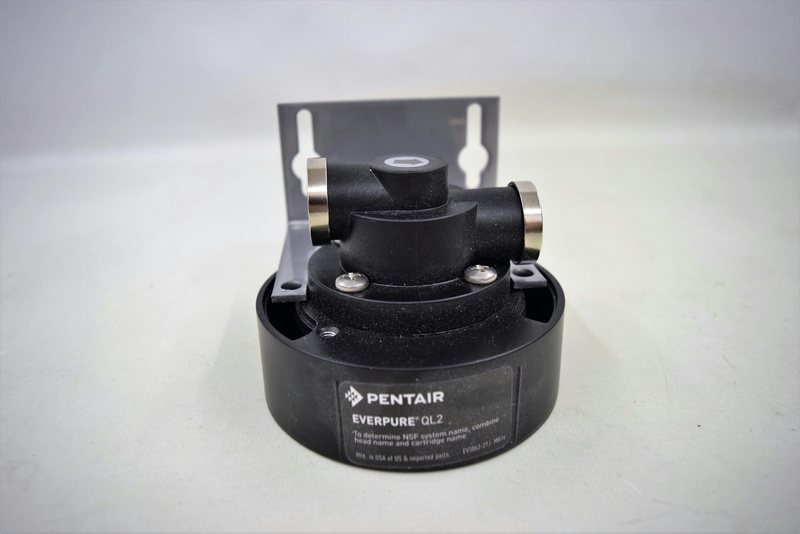 Pentair Everpure QL2 Filter Head Mounting Bracket John Guest Fit P/N EV3063-27J . New Life Scientific, Inc.
Everpure QL2 single filter head without shutoff used with Everpure cartridges: BH, H-50, H-54, H-104, H-200, H-300, OCS, OW-200L, OW2-Plus, OW4-Plus, S-104, S-200, 2K Plus, 4K Plus, 4K, 2CB5, 2CB5-S, 2CB5-K, 4CB5, 4CB5-S, 4CB5K. Flow rate: ½ gpm (max), In/Out: ¼” John Guest Speedfit fittings (shut-off valve not included).